← El Paso County Passes Denver as Largest in CO! Source: Colorado Children’s Campaign, a nonprofit advocacy group for children. 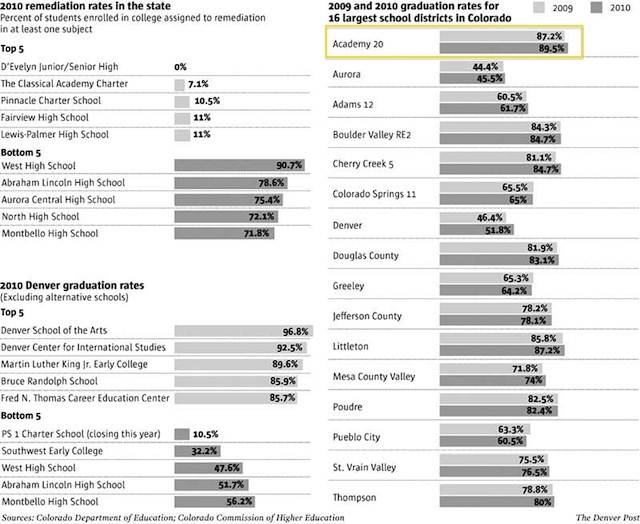 Colorado high schools graduated more students on time — within four years — in 2010 than the year before, according to state data released Wednesday that uses a new formula established by the U.S. Department of Education.